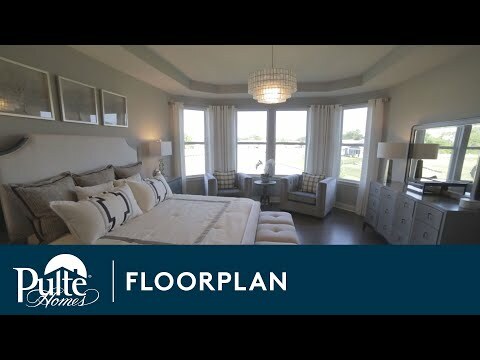 Perfect for empty nesters, the Belfort has a sprawling single-level layout with large living areas, roomy bedrooms and extra living spaces with its flex room, basement and optional loft. An oversized kitchen island allows for more seating and opens to the gathering room, which boasts a picture window. The Owner’s Suite is equipped with an oversized walk-in closet and dual vanities, and a large laundry room and entry off the garage keeps clutter away from the main living area of the home. Step inside Belfort-Ranch to see the Life-Tested Home Designs® with more usable space where you want it most. So you live the way you want to live. In the Belfort, you’ll find a kitchen island designed to accommodate casual seating, serving and prep space. Add stainless steel appliances, granite countertops and a walk-pantry, and entertaining is a breeze. Optional tray ceilings in the foyer and Owner’s Suite bring elegant detail to the home and make the spaces feel even more open. The Belfort offers single level living with roomy bedrooms and a private Owner’s Suite at the back of the home. A flex room can act as a home office or craft room. Add a second-floor loft/bedroom/bath for more living and entertaining space.